The benefits of combining the 30% U.S. Clean Energy Investment Tax Credit (good thru 2019, after which it steps down to 26% for 2020, 22% in 2021…then 10% >>) with that of the TCJA’s first-year bonus depreciation being increased to 100% (effective 2018-2022) cannot be overstated. Depending on the cost of your utility-supplied electric and your tax appetite (ability to use tax reduction incentives) expect to see payback periods of as low as 5 years, mid- to high-teen IRR % and annual ROI that is astounding. 85% of total solar installation costs are eligible for accelerated depreciation. If you are running a profitable business and can clearly show that the solar power you are generating is for business use then it can have a strong impact on the bottom line. In addition if you have passive income from other investments, the value of this depreciation can be very strong as well. Did you know that in addition to the 30% U.S. Clean Energy Investment Tax Credit that is afforded solar, businesses can significantly write off the remaining cost of their systems as quickly as in its first year? The federal government provides a very attractive depreciation-based incentive to businesses that install solar systems. This incentive has been modified from year to year, and was most recently updated with enactment of the Tax Cuts and Jobs Act of 2017 (TCJA). If you are a business you likely already know this, but just to be sure…Unlike individual taxpayers, businesses benefit from being able to reduce their taxable income by expenses they incur as part of business operations. The more a business can expense, the less tax it pays. IMPORTANT: This doesn’t mean that a business should spend as much as it can. Since Tax Benefit = Expense x Tax Rate, a $5,000 expense for a business that pays a 25% tax rate gets a $1,250 benefit. When a business purchases something (service, machinery, materials, labor, etc.) it can either be Expensed or Capitalized for accounting purposes. When something is expensed, taxable income is reduced today. If it is capitalized, taxable income is reduced over time. The IRS determines the rules behind what should be expensed and what should be capitalized. If something is capitalized, it means that the item will be Depreciated over time. 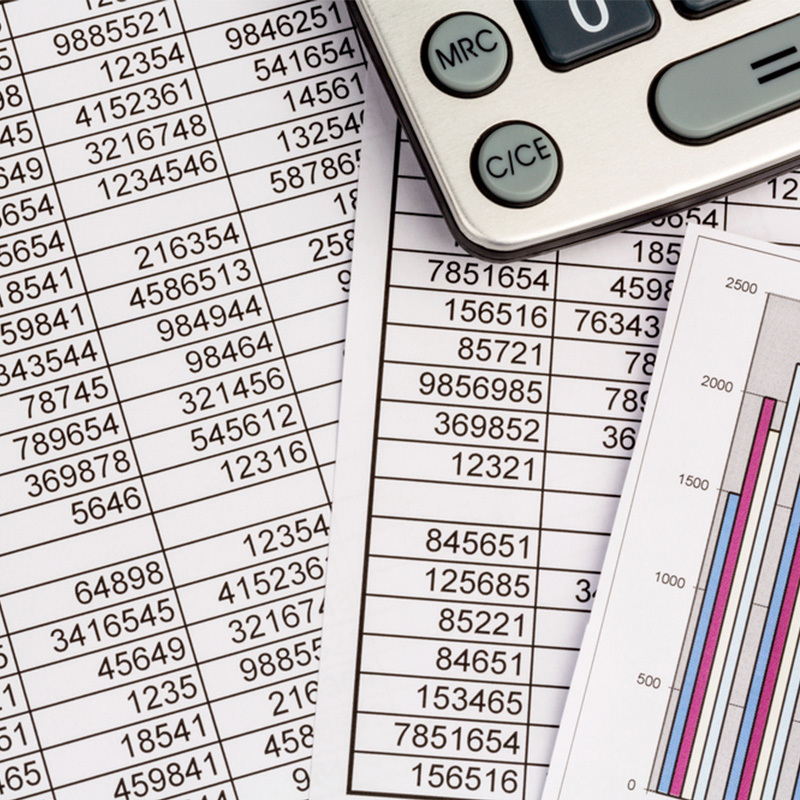 The current tax depreciation system is the Modified Accelerated Cost Recovery System (MACRS). As part of this system, the IRS assigns “lives” to items that should be depreciated. This “life” determines (1) over what time period the depreciation occurs, and (2) what percent of the cost can be depreciated each year. 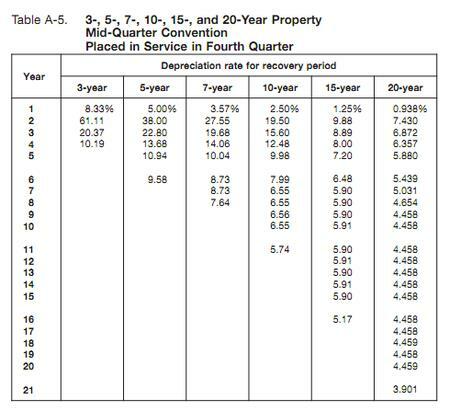 According to the IRS, solar systems are classified as having a 5 year cap life and should thus use the 5-year property MACRS table to determine the amount of depreciation in each life. If a solar system is placed in service in the first three quarters of the year, we use the “half-year convention” table. If the solar system is placed in service in Q4, we use the “mid-quarter convention” table. 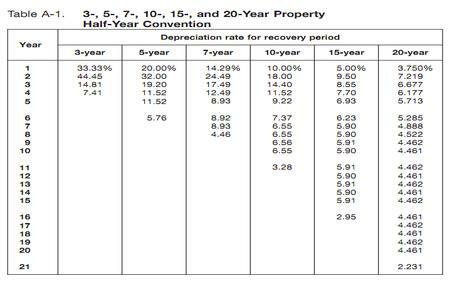 Using the tables above, one can determine what percentage of the adjusted cost is depreciated in each given year. Notice that since you assume the property is purchased in either the middle of the year or the middle of the fourth quarter, some depreciation is taken in Year 6. If the property is purchased before July 1, you would take the first full year as being Year 2 in the schedule. As discussed earlier, businesses are able to reduce their taxable income by expenses they occur during the normal course of business. Every business prefers to expense things instead of capitalize them, claiming depreciation against income over a period of time. This is because if a business is given a choice to reduce their taxes today or reduce their taxes tomorrow, they strongly prefer to reduce their taxes today – that is what expensing something allows a business to do. The way the federal government creates solar incentives as it relates to depreciation is by changing how quickly a business is able to claim depreciation. Classifying solar as a 5-Year MACRS asset is already an incentive since the useful life of solar systems is in reality much longer (25-30 years) than that. How Much Value Does Depreciation Provide? It is important to understand that when someone says a solar installation creates $100,000 of depreciation, the incentive “value” is not $100,000, it is $100,000 times the customer’s marginal tax rate. Example: ABC Manufacturing expects to make $200,000 in net income (profit) in the tax year. Their tax bracket is 25%, so they expect to pay $50,000 in taxes. If ABC buys a new solar system in the 3rd quarter to help lower their energy costs, and its installed cost was $100,000, their calculations will be this: $100,000 minus 50% of their 30% federal tax credit ($15,000) = $85,000. Their Year 1 depreciation allowance (if choosing to use MACRS schedule, rather than fully, 100% expensing it all in Year 1) is 20%, which equals $17,000. So their $200,000 expected business profit, minus the $17,000 from their 1st year depreciation schedule value of 20% = $183,000. Now their taxes are just $45,750 (rather than $50,000), meaning the net cost of the system in its first year was just $65,250 ($100,000 gross cost, MINUS $30,000 in U.S. tax credit, MINUS $4,250 in reduced income taxes no longer being paid). In Year 2 per the schedule, they will be able to depreciate another 32% of the system’s cost, lowering their taxable earnings by another $27,200 which is worth $6,800 if their taxable rate were to be the same 25%. Now at the end of Year 2, their solar system’s effective cost is just $58,450. And so on, until they have used up the entire depreciation amount. That of course is before counting all of the energy that was produced by the solar system itself throughout that time, which is another large added benefit of such an investment: These energy savings are totally tax-free, since they pay no sales tax on the energy purchases they now avoid. They have won 3 ways with this investment: A 30% tax credit, 100% expensing or 5 year MACRS, and year-after-year energy savings! Properly calculating and filing for immediate, 100% business expensing, MACRS and/or taking other deductions is a relatively routine procedure for qualified accountants or tax specialists, and we highly recommend that you engage one to assure that you capture all of your solar system’s tax advantages.